Yeah: I’m not sure if maybe it wouldn’t be better as a comedy. 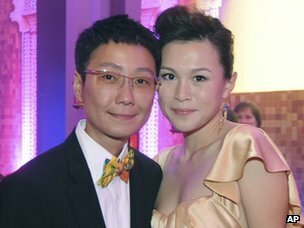 Re-titled as “My Big Gay Hong Kong Wedding”, or something. Really? I was assuming it’d have a full title like ‘My daughter’s hand, or, the two gentlemen of Hong Kong’, because it sounds thoroughly Elizabethan to me! Clearly “Combating [x] through deception” is one of those boilerplate plots we get a lot of use out of! The second one reminds me of an idea I had (that was meant to be a TV show) about lesbians in the 1700s, where in order for them to marry, one of them pretended to be a man by enlisting in the military. And then got actually sent off to war. It was based on a lot of old cross-dressing folk songs, a couple of broken token ballads, and a wee bit of greek tragedy. I’m now actually seriously considering having a bash at some sort of sctipt.